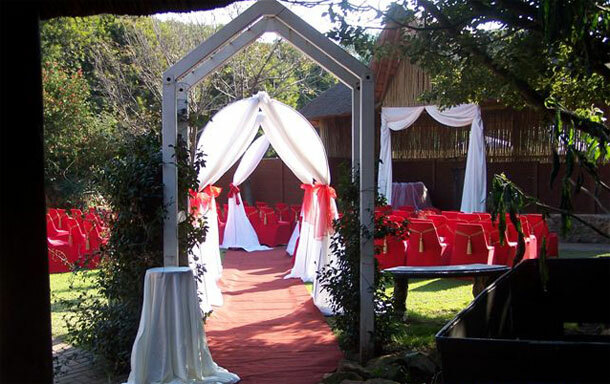 This pristine peace of heaven of Pienaardam Leisure Resort is serenely nestled in the heart of the cultural heartland of Mpumalanga and is only a stones throw away from Middelburg, just off the N4 on route to Nelspruit and the Kruger National Park thus making it the ideal stop over for business and tourists alike. The resort is well known for the splendid weddings held in the six different halls. Well trained wedding co-ordinators are available to make your special day exactly what it is supposed to be: spectacular. More than 890 happy couples have already tied the knot at Pienaardam Leisure Resort. A lovely open chapel adjacent to the Grasdak Hall can host 250-300 guests. We also have a idyllic wooden chapel set in a beautiful rose garden surrounded by nature. Be different and make use of our horse and carriage as your wedding car or for the real adventurous an ox carriage can also be arranged. 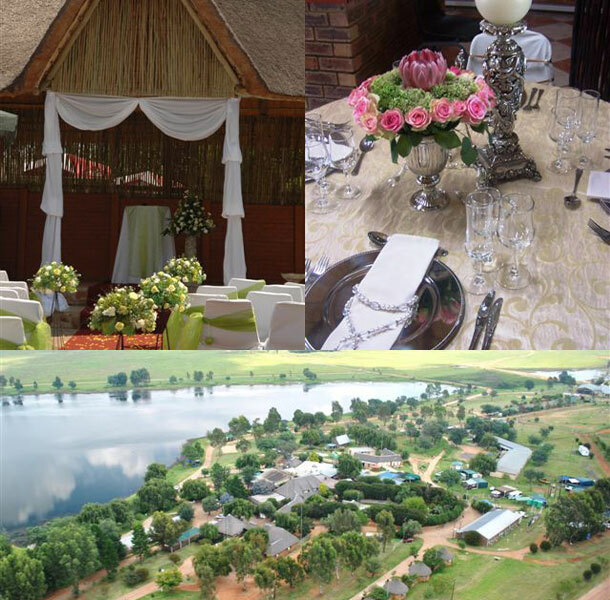 A beautiful honeymoon suite overlooking the main dam will round off your wedding and lay the path for your future. The resort has 80 chalets offering accommodation for your weddings guests and there ares also ample camping sites available. Update: We no longer recommend this venue!